Replacing the heavy paper carton that is useless as soon as the soap bar is removed, the disappearing package is a septic-safe, water-soluble paper. 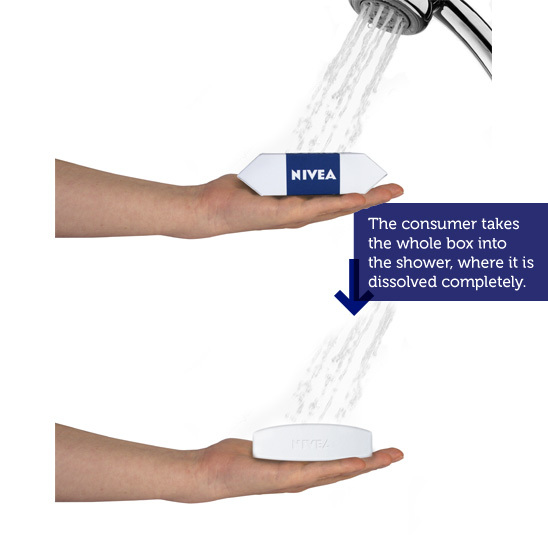 You take the whole package into the shower and once wet it dissolves leaving nothing behind. 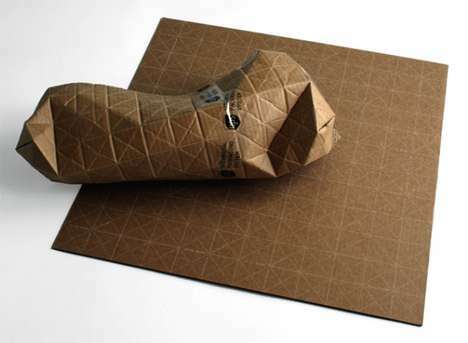 Instead of the heavy paperboard box, the packaging becomes one of the bags itself. Very clever. 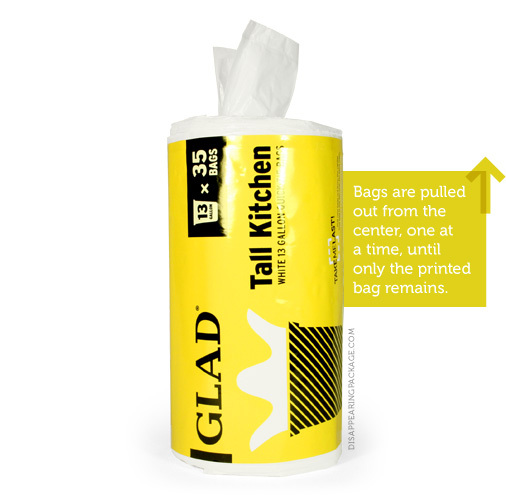 The necessary information is printed directly onto the last bag, which, in turn, holds the entire roll together. The original packaging doubled (albeit very poorly) as the liner dispenser, this is improved upon here as bags are pulled out from the centre of the roll until just the final bag remains. 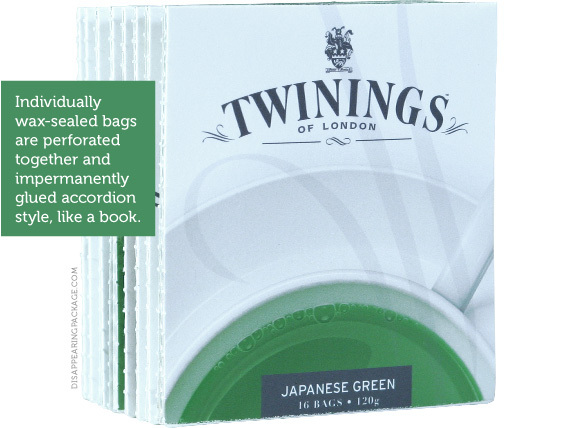 Traditionally tea bags come individually wrapped and stacked in a cardboard box, which is ultimately discarded. The solution is to stitch them together with inpermanent glue into a self-standing brick (it is admitted that with almost all food goods that packaging is near impossible to remove entirely). 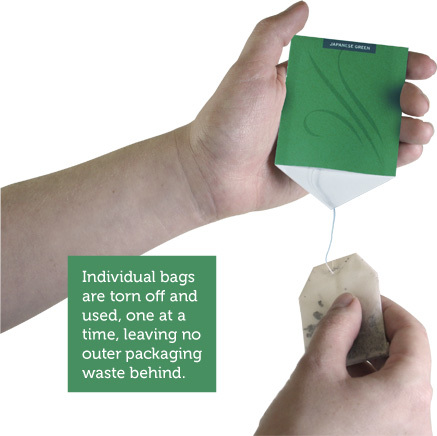 Each tea bag tears off with the folder becoming the hanging tag. As a bonus this idea actually increases the available print area to provide information and graphics as the product is used. 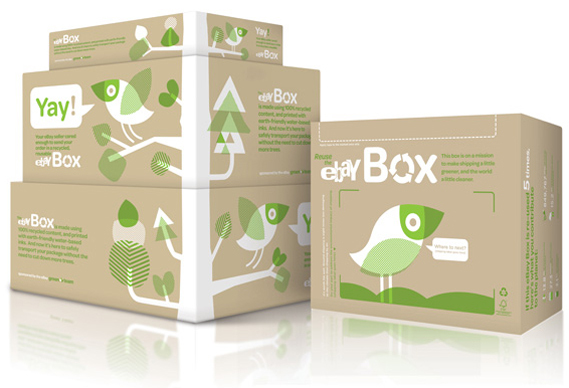 More great ideas on The Disappearing Package. 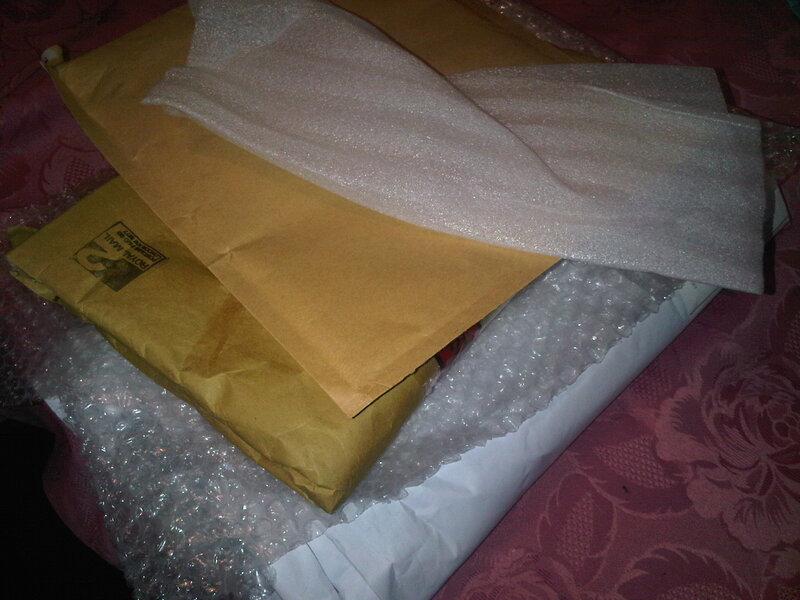 It’s always nice to get home after a long day at the office and find a parcel waiting for you. 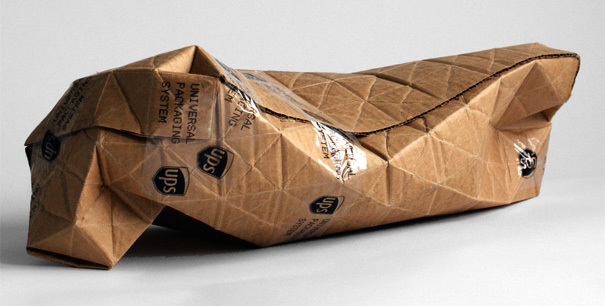 Perhaps it’s something you’d forgotten you’d ordered, or perhaps a genuine gift or surprise. 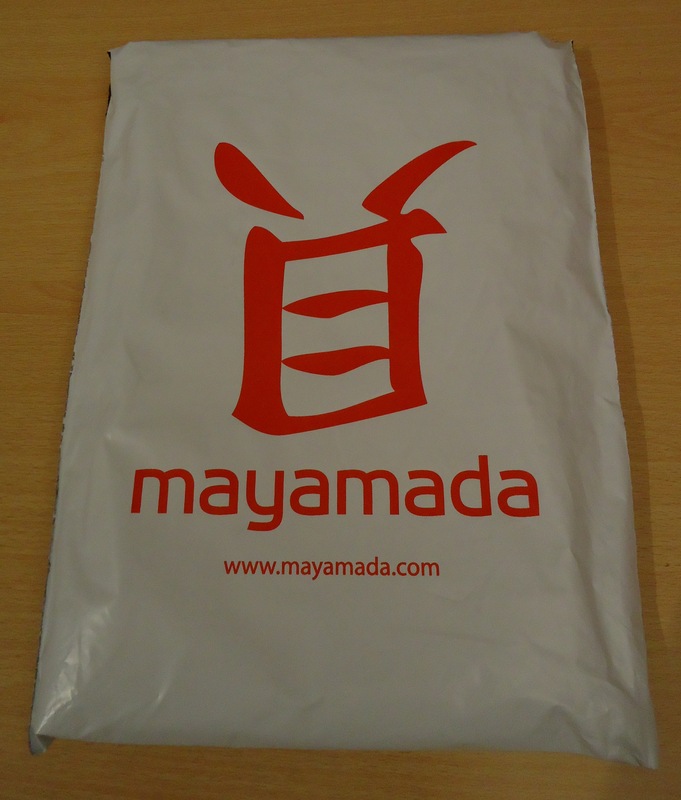 My delivery from recently launched brand Mayamada was neither of those, I knew it was coming, but that didn’t dampen my delight in receiving it at all. 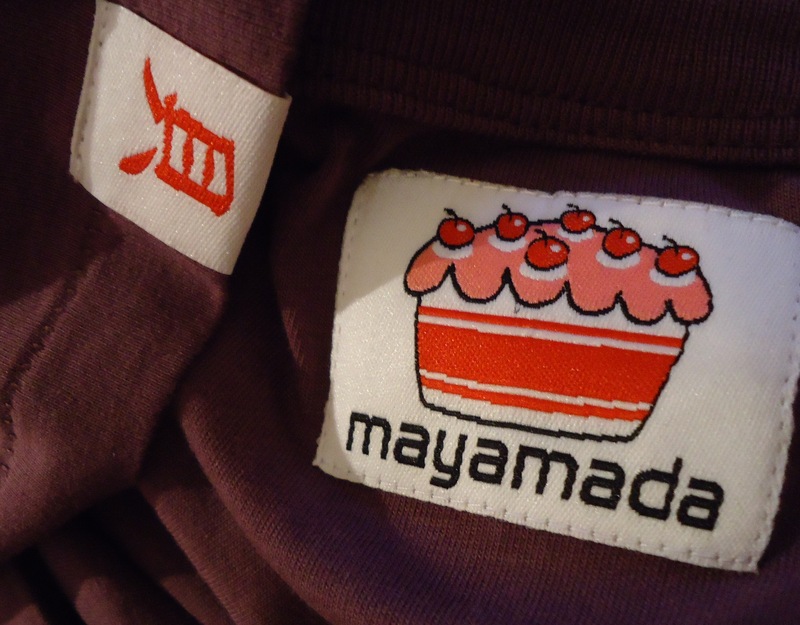 Mayamada is a quirky Japanese inspired clothing brand set in a world of television parody. The t-shirts (and soon to be hoodies) are all there to represent a theme and tell a story. Mayamada “don’t do one offs”, all of the designs fit together influenced by pop culture, a quirky sense of humour and a little sprinkle of Japanese flavour. 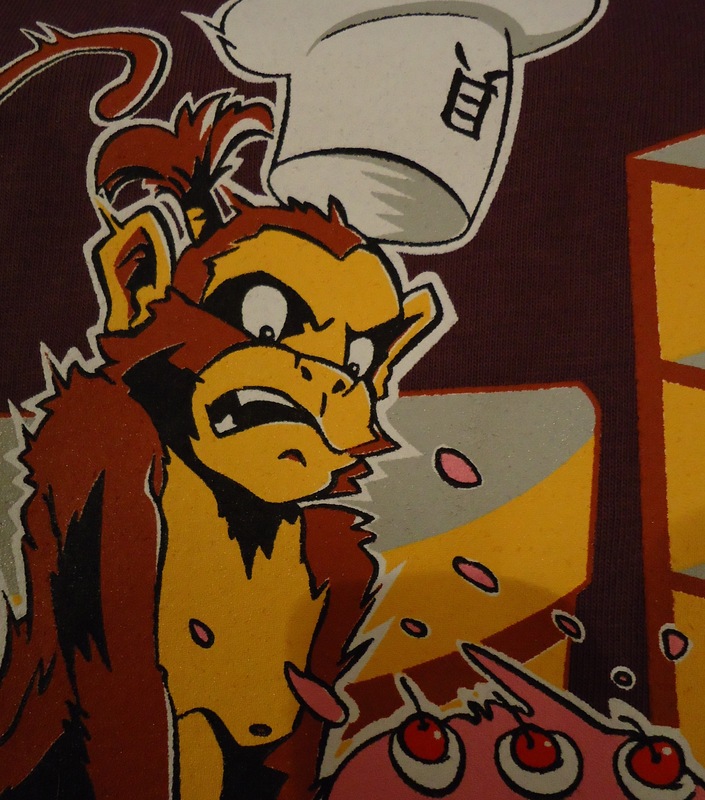 Of the available designs I opted for Samurai Chef. 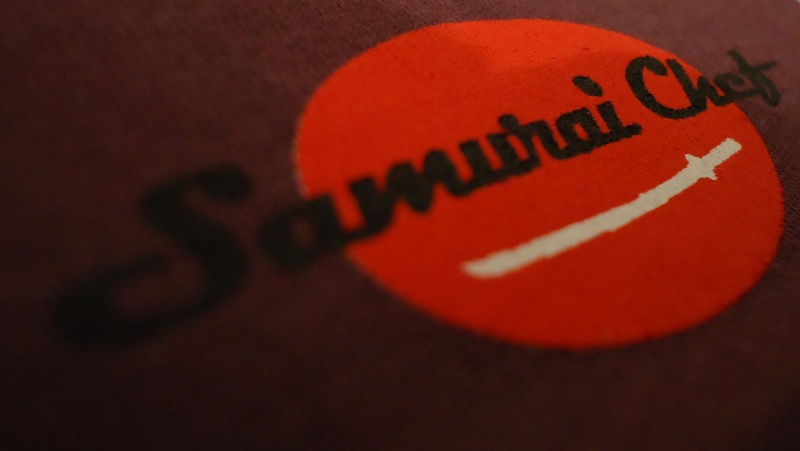 Samurai Chef is, well, a chef who judges dishes by attacking them with his samurai sword. Excellent. 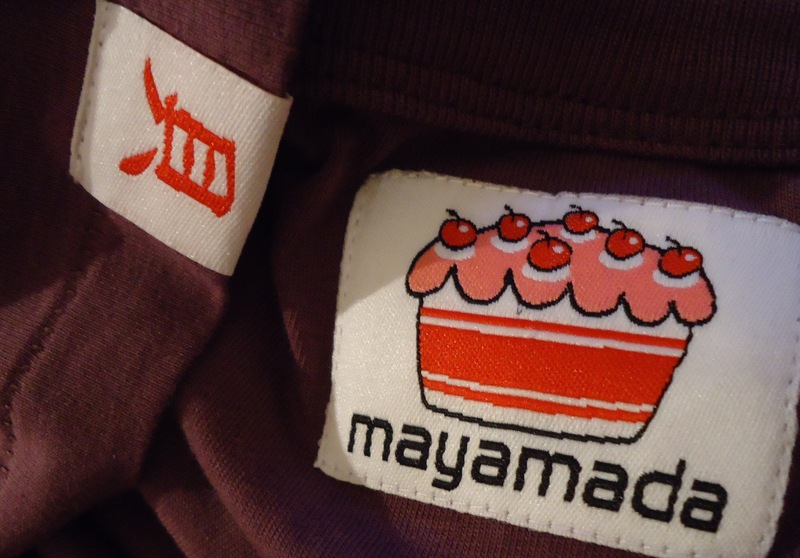 You can see a sneak preview of some of the other designs over on the Mayamada blog. The attention to detail in the packaging is great too. Yes it’s not unusual to have clothes orders delivered wrapped in quality tissue paper, but when it’s hand stamped with genuine ink imported from Japan – then you know these guys know what they’re doing. 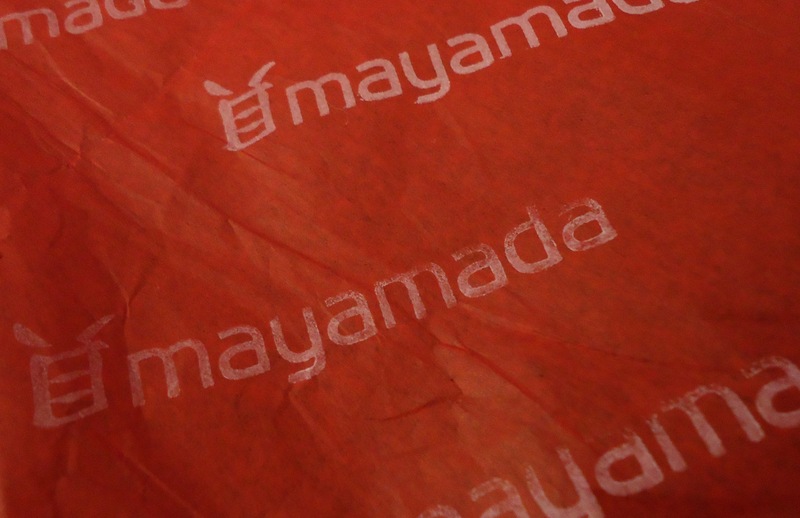 It really is the little things that can make the difference, and Mayamada have excelled in this aspect. They also lovingly threw a couple of badges – “one for me and one for a friend”. I mean, who doesn’t like badges! 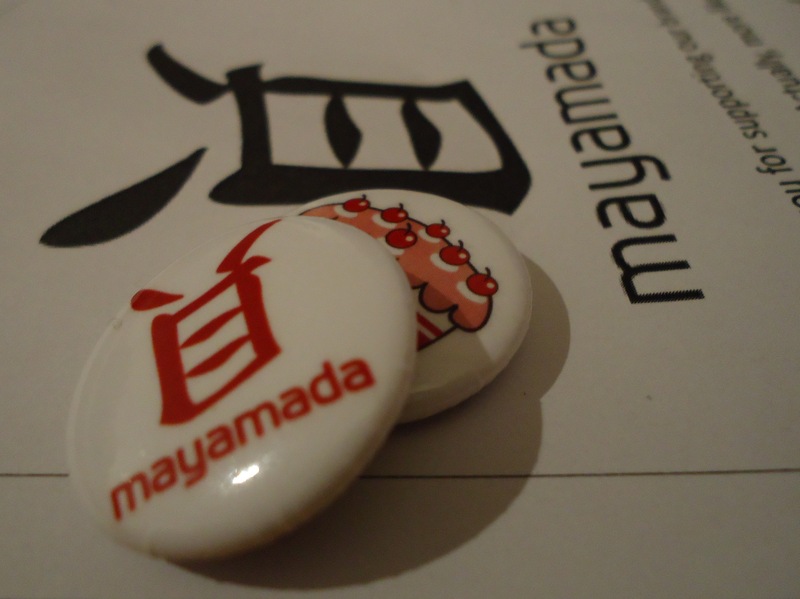 If you’d like to proudly wear one of my Mayamada pins, then leave a comment below and I’ll sort out sending it over to you. Alternatively place an order over here and you’re bound to get a couple in your delivery (this is the only sure fire way of collecting them all as the badges are specific to which clothing design you order!). There’s also a fab letter included, welcoming you to the brand. I won’t spoil all the secrets though, if you want to know what it says you’ll have to place an order and see for yourself! Mayamada are all over the relevant social media sites too – keep in touch with them on both Facebook and Twitter for all the latest info. What can you do with old crayons? All those waxy crumbs and colourful stumps, too small to hold in your chubby childhood hands, that used to collect in the bottom of your pencil case. Well, you can now use Crayola‘s own Crayon Maker to “mix, melt and mould” your own wild colour combinations. 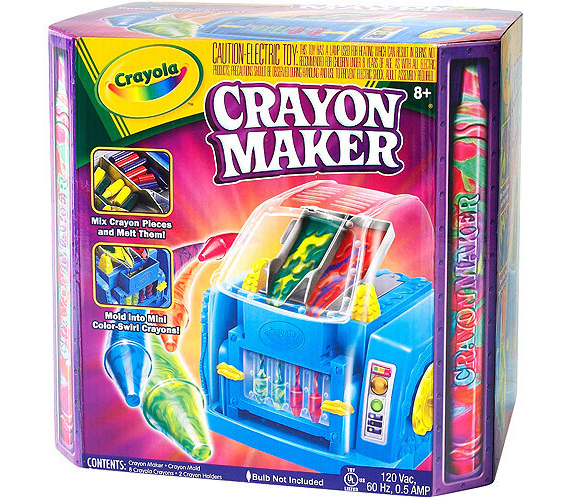 I wish this had been around when I was a kid, watching crayons melt before my very eyes to make unique swirling wax crayon creations. Awesome. See it in action on the Crayola commercial site here. Children of today you have no excuse, get drawing! 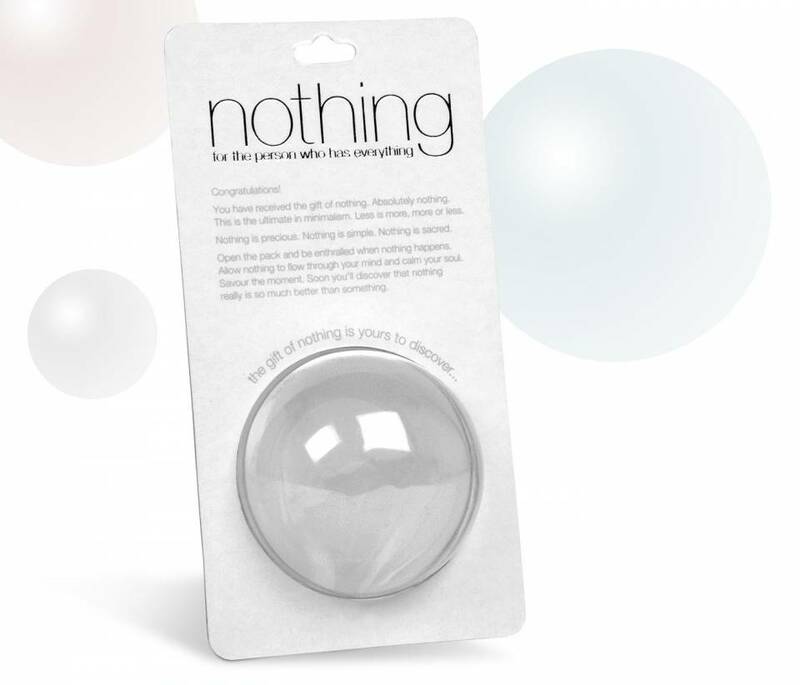 Now this hasn’t got all the problems worked out, but it does offer an “almost genius” solution to packaging odd shape products perfectly. Instead of putting an odd shape product into a traditional square (or really, cube) box of it’s maximum dimensions, and it taking up a lot more space than is really necessary, you can now do this. 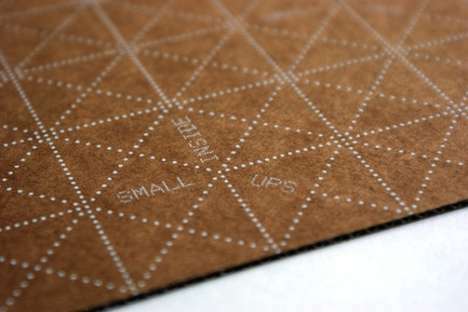 A pre-scored carboard grid of triangles that allows you to fold up the packaging around the product to suit and fit its form (almost) perfectly. The potential space savings could have huge benefits, if you can fit more products on a palette, then you can fit more in a truck, more transported per tank of fuel and so on and so on. The only drawback I can see so far is how multiple units might stack if they do not have regular or flat bases, and hence perhaps not actually save any space at all! 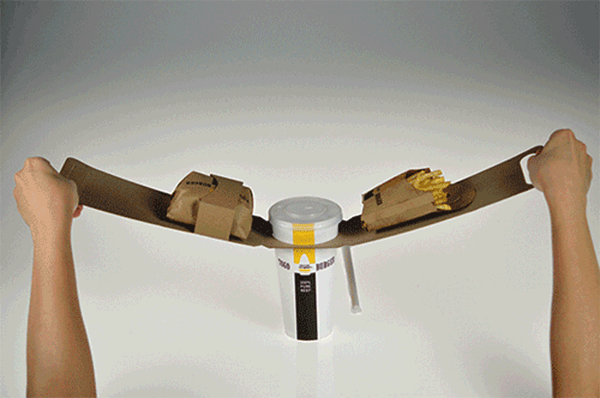 This ‘Universal Packaging System’ by Patrick Sung overcomes this slightly by offering potential to be formed into a custom (cuboid) box. I’m not sure if it will catch on as it seems like it could be extra hassle for more traditionally shaped items, but for one off or unique items it definitely offers a worthy solution. 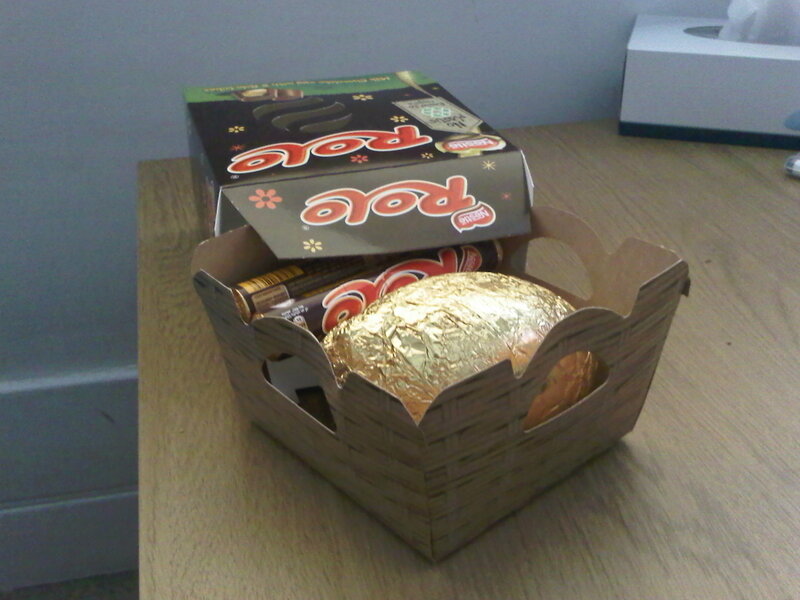 Easter brings about a world of over-indulging, and an inevitable excess of food wrappers and packaging. 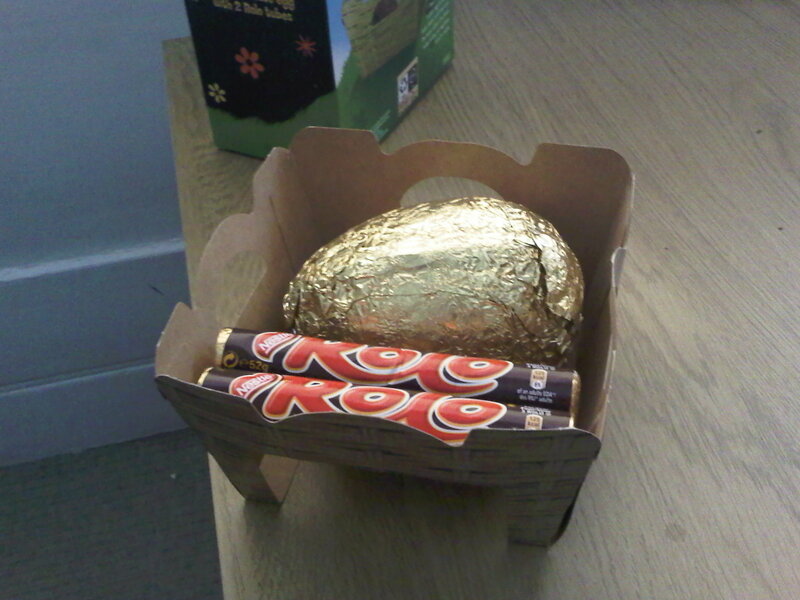 Around Easter Sunday discarded egg packages mount up next to the armchair, only to end up in the bin hours later. 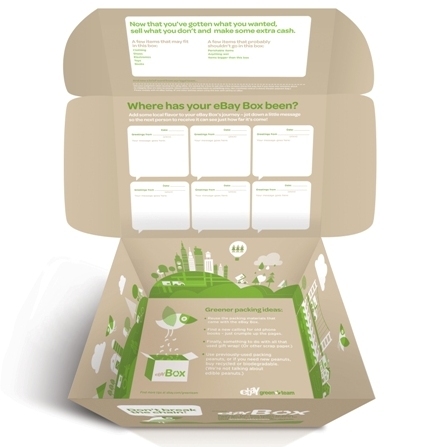 Yes, card can often be recycled, but the plastic less so, and the whole combined package even less than that. 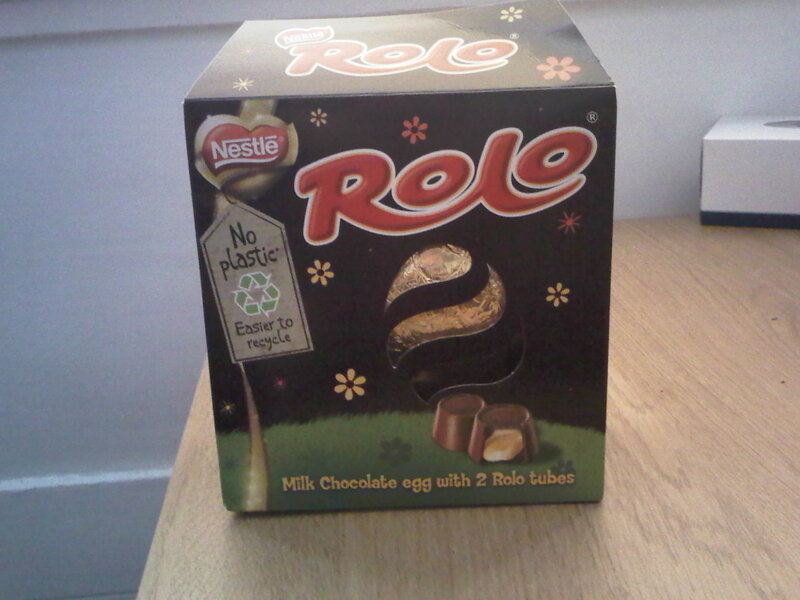 Nestle have stepped up their game this year. Good design should design for the whole of the product life. Not just manufacture and use, but right through to re-use, recycling, and disposal. Good design is responsible design. 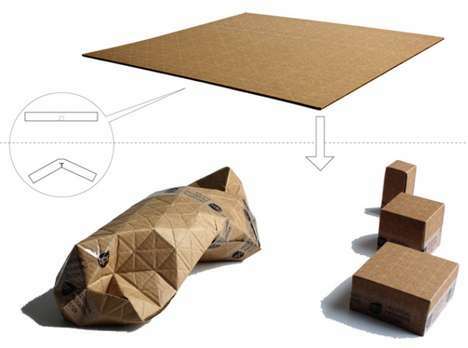 One less material used in packaging not only saves them money in the manufacturing phase (probably), but allows for improving the user experience (visually I felt it was much more appealing), and is much much easier to dispose of. No plastic, easier to recycle. 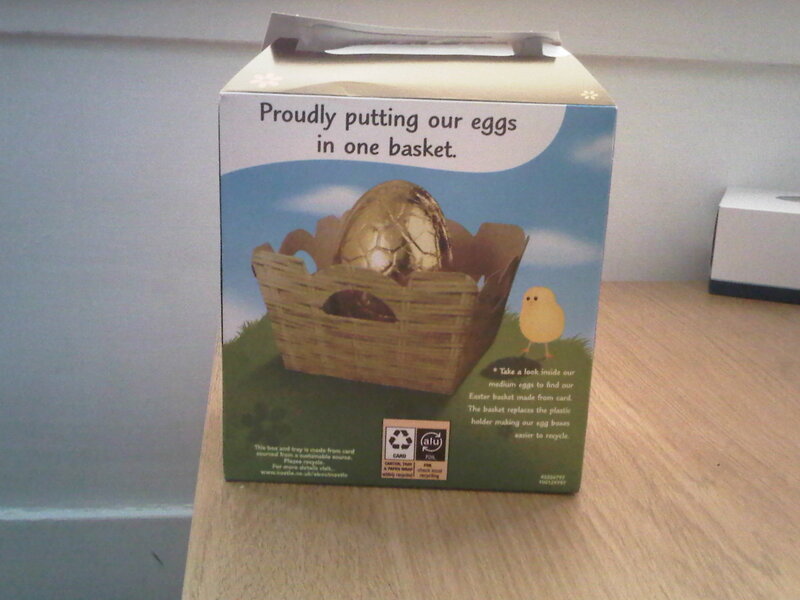 No debating or guessing whether this particular kind of plastic can or can’t be recycled (does the average Easter egg consumer know the difference between thermoforming and thermosetting plastics? ), the whole lot just squashes flat and straight in the one recycling bin for card. Simple, responsible design. Nice one, Nestle. 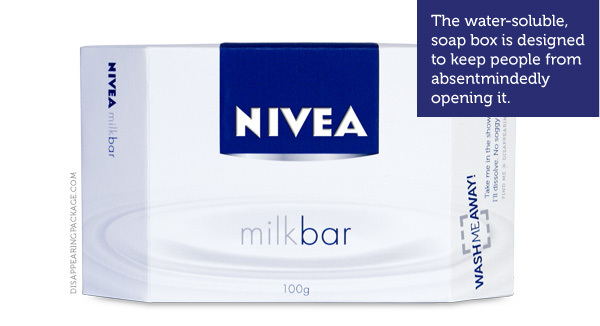 I’ve also just come across Nestle’s own media release on this subject which you can read here, aswell as an article on optimising packaging here.